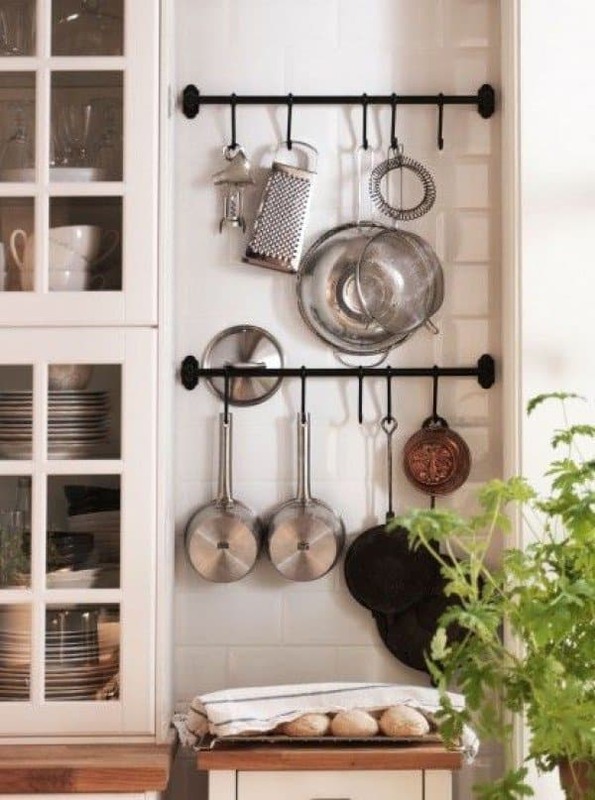 Emphasize Small Spaces With Kitchen Wall Storage Ideas | Homesthetics - Inspiring ideas for your home. 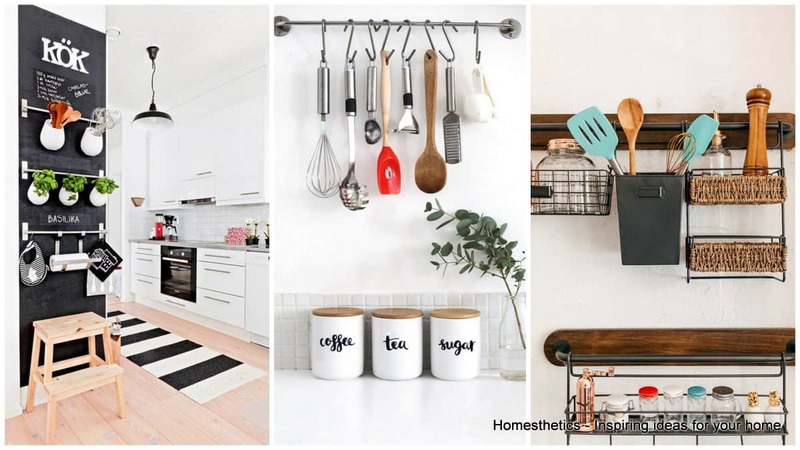 Dealing with a small space is something rather common these days and requires creative organizational skills for proper usage of the space for storing and usage. 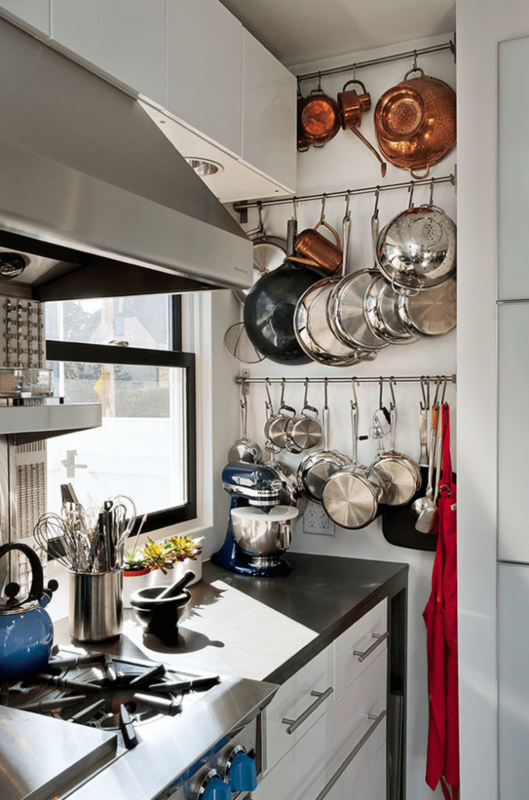 The kitchen represents the most crowded ensemble of our homes, filled with so many utensils, gadgets, pots, pans and so on. 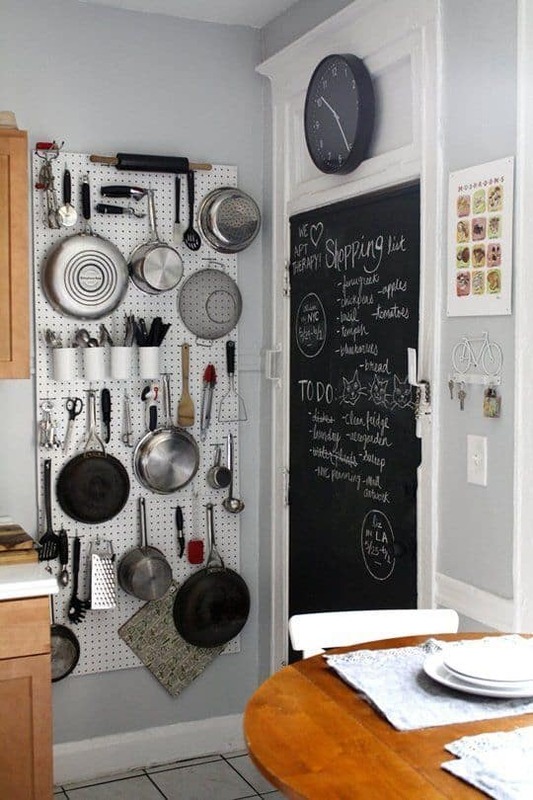 There aren’t too many drawers and cabinets to store all the kitchen utensils one can gather in a lifetime. 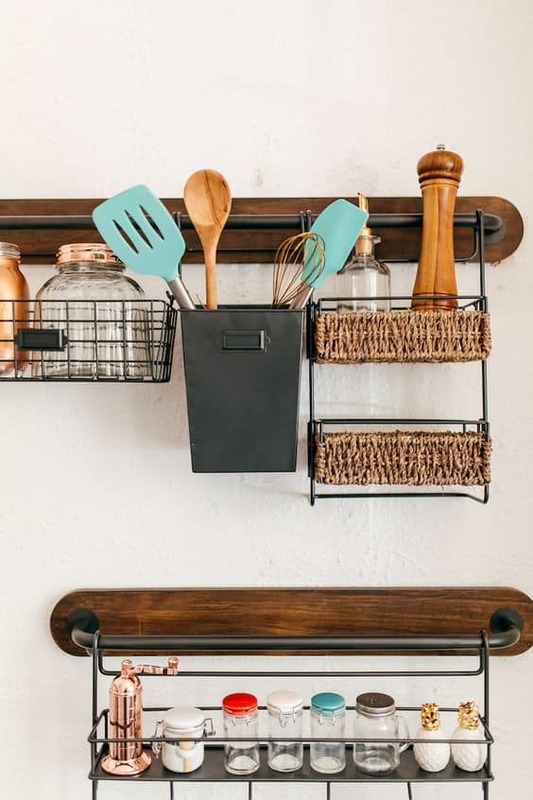 We usually tend to forget all about the blank walls and the immense potential they represent for storage space.So let’s dive into the many wall storage ideas and options we have found out there. 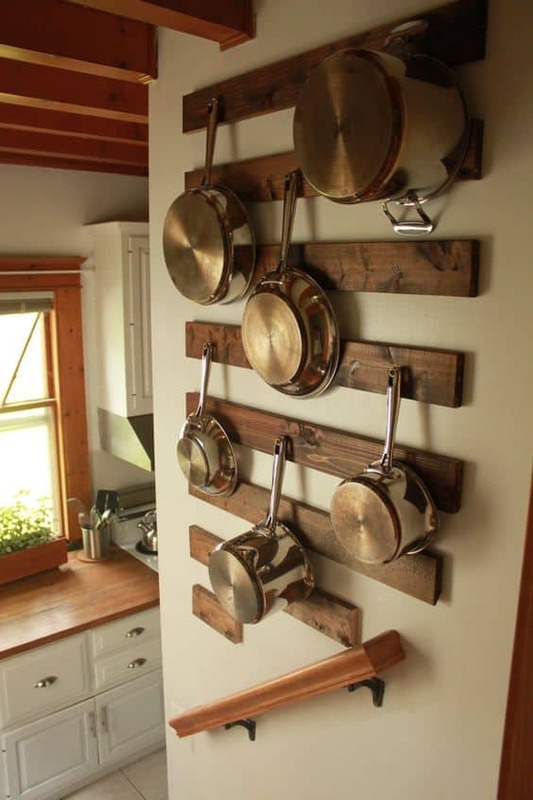 Pots and pans take up so much space in the kitchen cabinets so why not hang them on hooks? 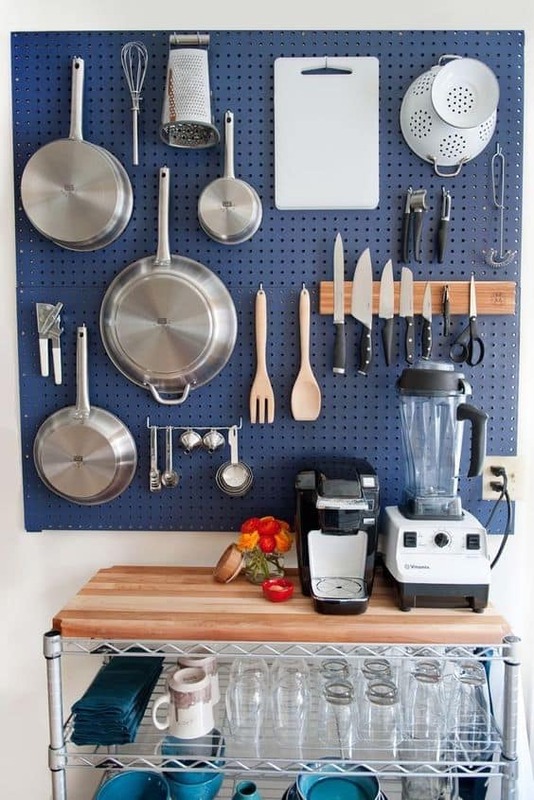 Add a pegboard on blank walls for storing purpose, offering a beautiful alternative to the open shelving idea. 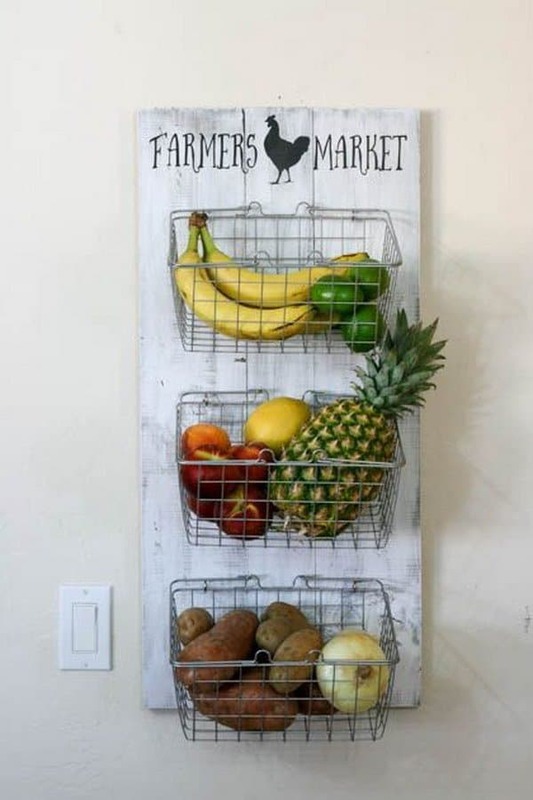 Tension rods are other option from which you can hang different kitchen utensils, as well as wire baskets that are very useful for storing fruit and vegetables. 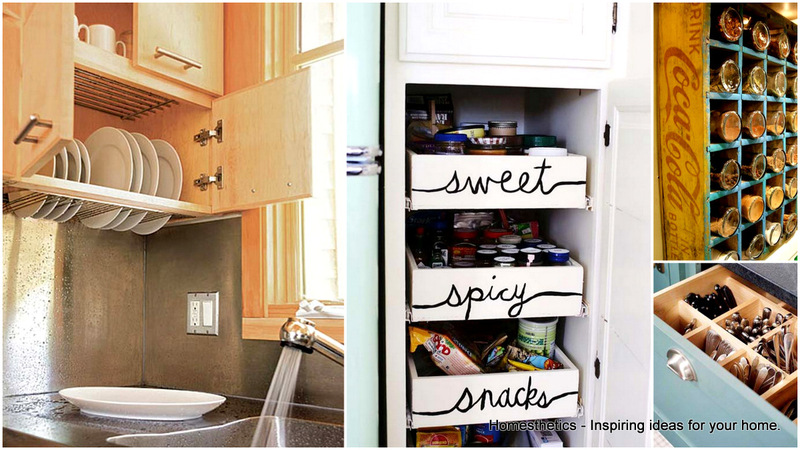 Paint the kitchen door with chalk-paint and use as a to do everyday list. 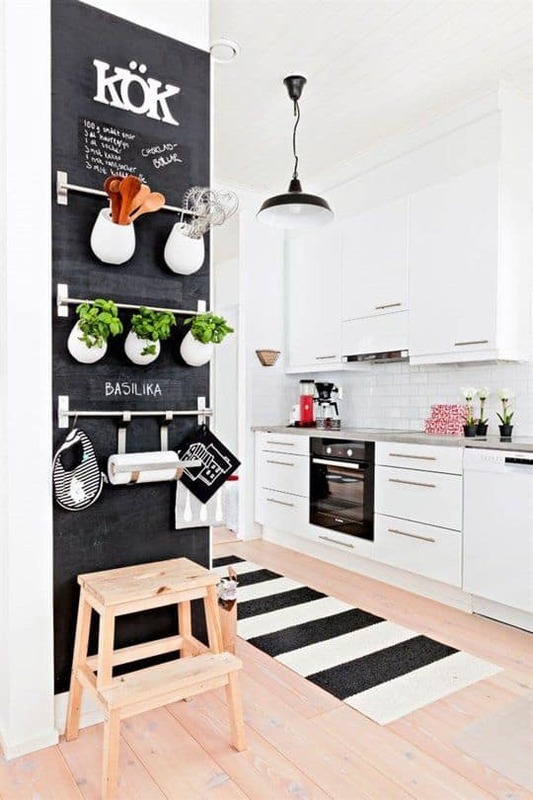 A plain white kitchen will get some contrast from a chalk-paint wall. 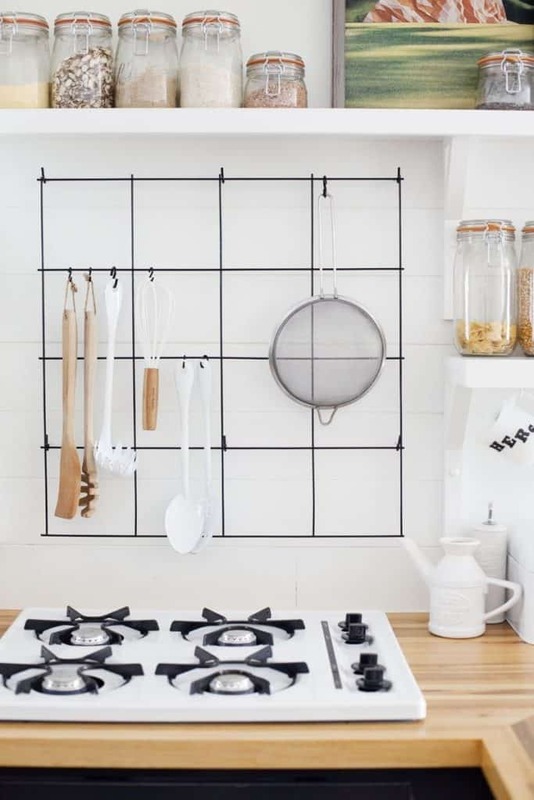 A rustic looking wire basket composition will fit just right on your kitchen walls. 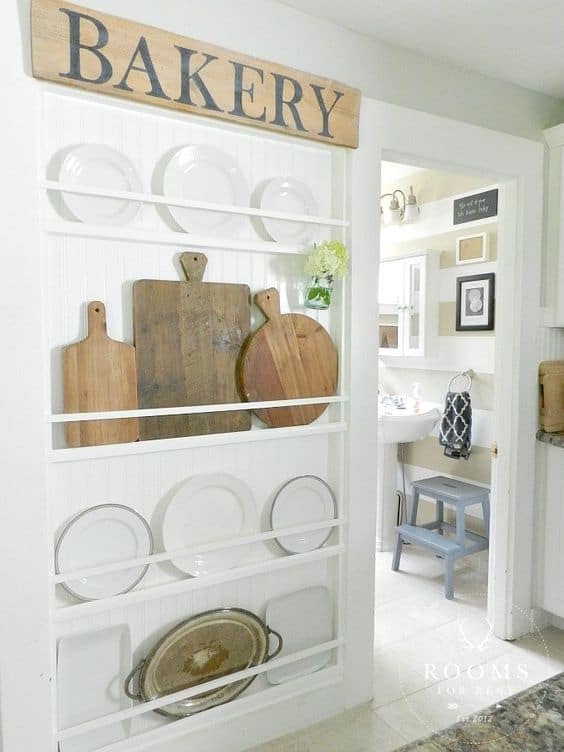 Create a bakery wall with wooden boards. 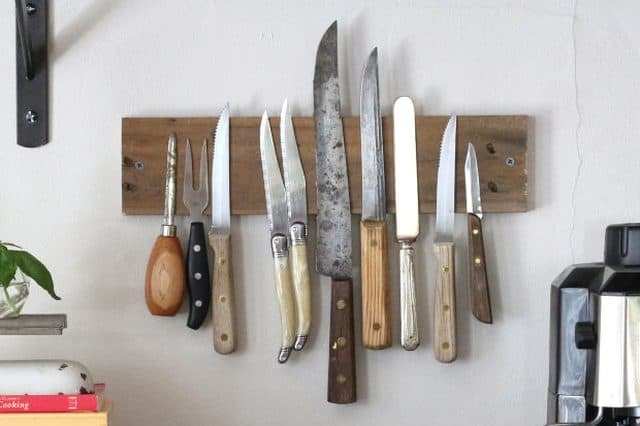 Even storing knifes can be aesthetically pleasing. 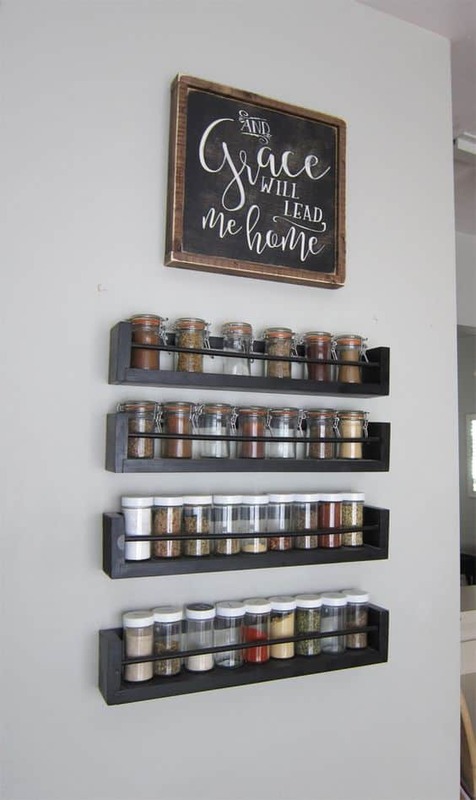 A herb and spices wall will serve as a decorative piece for your kitchen. 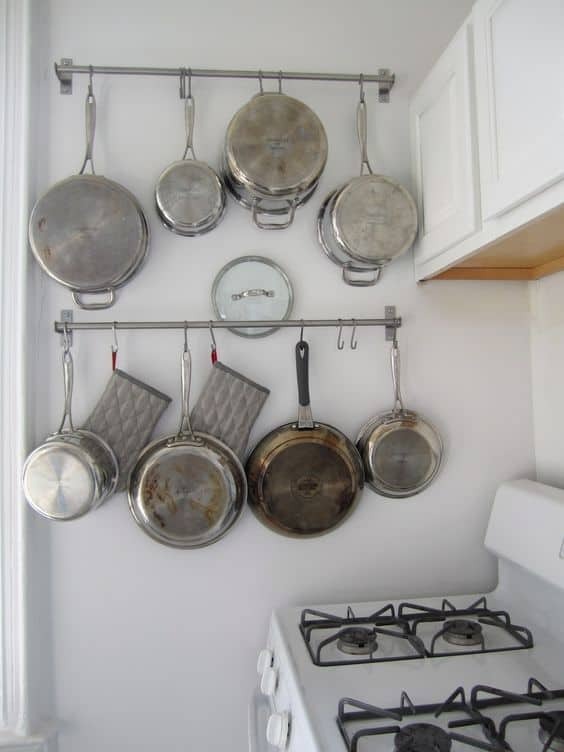 How do you store all of your kitchen utensils? 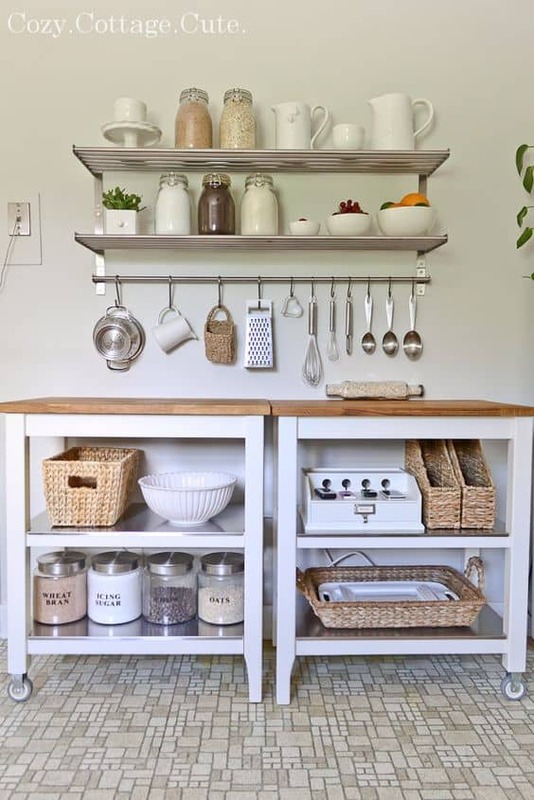 Do you like the open storage concept, with everything out where anyone and everyone can see them? 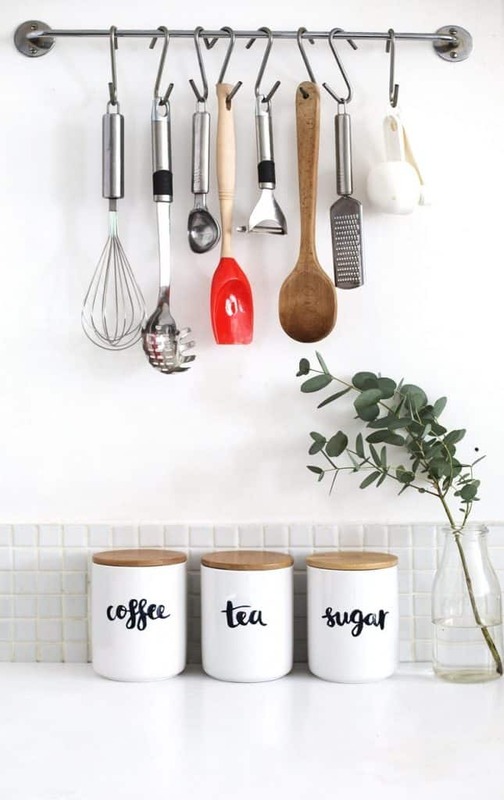 Use it as a decorative statement. 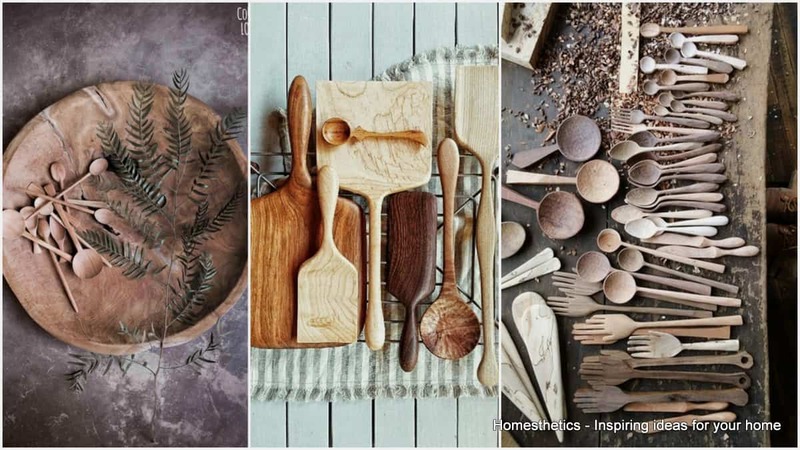 Feel free to express your ideas and thoughts in the comment section below.